I recently spent 2 weeks in South Asia. For the first time I was able to carve out 3 days in Dhaka, Bangladesh. I’d been eager to visit this officially Muslim nation and some of our friends who we know are making a difference in their country. Dhaka is the scene of what National Geographic has called the largest mass migration in human history to a single city. Almost nothing can prepare you for one of the more dense population spots on the planet. As a whole, Bangladesh has over 150 million people, with a land mass about the size of Louisiana. 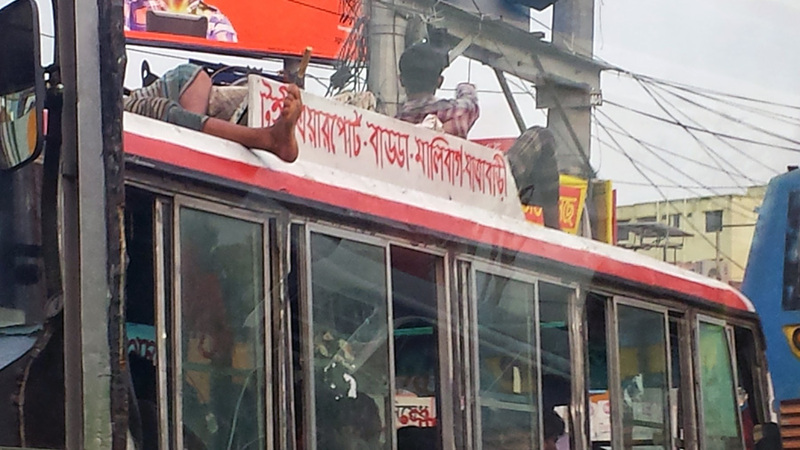 Dhaka alone is home to over 15 million. This greatly overwhelms the infrastructure and makes moving around the city quite a challenge. It doesn’t matter much if you walk or drive, every square yard is occupied. My friend explained the pecking order of transportation depending on how much you had to spend. From the low end public busses and bicycle rickshaws, to auto rickshaws, to private vehicles. Whichever you choose, you are likely to spend a long time in it, so choose wisely. My favorite ride was from one side of town to another where we were meeting. It was about 2 miles. The temperature was around 90 degrees and it was very humid (raining in fact). The roads were so crowded our car and driver couldn’t get to us. So we grabbed an auto rickshaw. 4 of us piled into one (it is supposed to only seat 2). The auto rickshaws in Dhaka are caged in. They do this to keep people who want to take your valuables out. It also makes for a quite tight ride when you overload the thing. We spent the next hour traversing the 2 miles, wedged in between busses (I can assure you they are not the clean emission variety!) and all the various other modes of transportation. When the cage opened up at the end of the ride, I was a happy camper! But to stop with the population density would be to stop at the wrong place. Bangladesh is a country filled with beautiful people garbed in the most amazing multi-colored saris and fotuas (Bangladesh produces a huge amount of the world’s clothing). More importantly it is filled with people God loves and a place where He wants to make a difference. When you think about it, pray for Bangladesh.